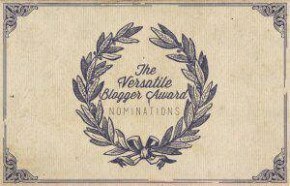 I have some exciting news to share with you, I have been awarded the Versatile Blogger Award! The lovely Food Daydreaming nominated me and I couldn’t be anymore humbled by the knowledge that people are enjoying my blog! I am truly honoured to receive the award – YAY! My favourite number is three. I drink a lot of tea and coffee and soda water. I have two goldfish called Karl Lagerfeld and Boutros Boutros Ghali. I am addicted to playing Monopoly on my phone. After lots of hard umm-ing and argh-ing here are my nominations for The Versatile Blogger Award, I nominate these following blogs, congratulations!! Thank you so much, Jessica! You are so very kind, it really means a lot to me! Thank you! It is such a lovely award to receive! Thanks so much for nominating Spontaneous Tomato! Anytime Allison! I love your blog! Phone Monopoly is great and dangerous addictive. You should try it out! I haven’t played KenKen or Mathdoku but I will be looking into them – thank you for the tip! Congratulations on the well-deserved Versatile Blogger Award! Your beautiful blog has always been a visual treat for me. And thanks for nominating Vittle Monster! You are too kind. Thank you Vincent! And the nomination was a pleasure. I love your pic and reviews – yummo! Congratulations and Thank You, too!!! Awe thank you that is so nice to hear!